An important aspect of our trip to Haiti is spiritual preparation. We want to share the love of Christ. It may be through sharing our drinking water with them, meeting their medical needs, helping with construction, or actually sharing God’s plan of salvation. Our goal is to encourage their lives to be changed and for them to be self-supporting people. The time has gone quickly, and I have not had the chance to write this blog as I had desired. In my last blog, I touched briefly on a few things needed when packing for Haiti. We’re now down to 13 days before we leave. I have been busy gathering many other things to take with me. Since we’ll be away from the Haitian compound all day, we’re taking many protein bars and various other snacks. We’ll take several of these snacks with us each day for ourselves and for our translator. We also are packing plenty of peanut butter and tuna and flat bread, including bagels. We’ll take a sandwich with us for lunch. I have collected pencils, spiral notebooks and erasers for the children in the school. My grandchildren’s Awana club collected many little items for me to take for the Haitian children. Needless to say, my list keeps growing as I think of more things I should take. The second area I’ve been preparing is my mind. I’ve had to learn how to use the wordless bracelet and the few variations that are necessary for a different culture. For instance, how could a child understand that God will make their hearts as white as snow when they’ve never seen snow? Instead we’ll say, “as white as the little girls dresses in church.” It’s also important I remember all the scriptures I want to use. We all have given the leader our testimony and need to be able to give it anytime we are asked. The third and most important preparation is that of my heart. I have responded to God’s stirring and made myself available; however, if my heart is not prepared, I’ll leave nothing of eternal value in Haiti. Our team was given a spiritual preparation worksheet to complete before we leave, and also the team leader recommended a daily devotional book called, Before You Go by Jack Hempling. This little book is excellent. I feel everyone should read it before going on a missions trip. With the help of this book, I’m able to concentrate on areas of my spiritual life I may not have realized were important. 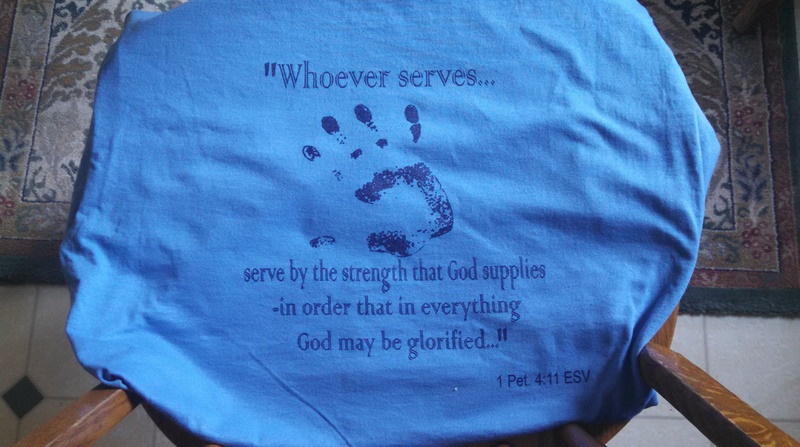 Jack Hempling writes that anyone who goes on a missions trip needs to go with a servant’s attitude. A sweet spirit is necessary to live beside the others in the team and to work together. I need to enter Haiti sensitive to the Holy Spirit so I can hear His prompting and guidance, whether it be to witness to someone or to be aware of a need as small as sharing a cup of my water. If I leave on this trip without spending extra time every day with God, allowing him to prepare my heart, I’ll be wasting my time by even going. My last and fourth area to prepare is my prayer support. I’ve already received my financial support, but prayer support is vital as well. I ask that you pray for me and ask God to prepare me to be a willing vessel.